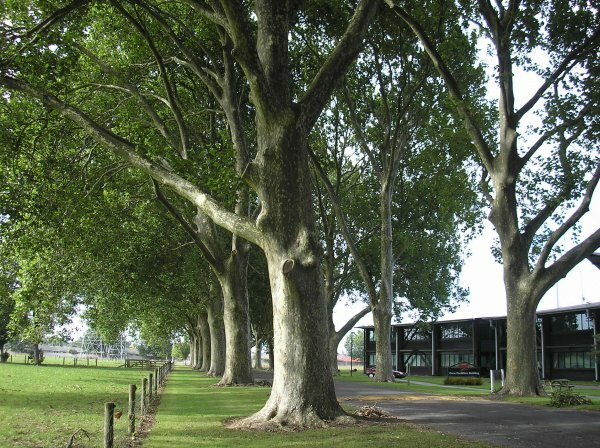 The largest tree of 24 trees in a double avenue. (The fifth tree from the northern end on the eastern side of the avenue). 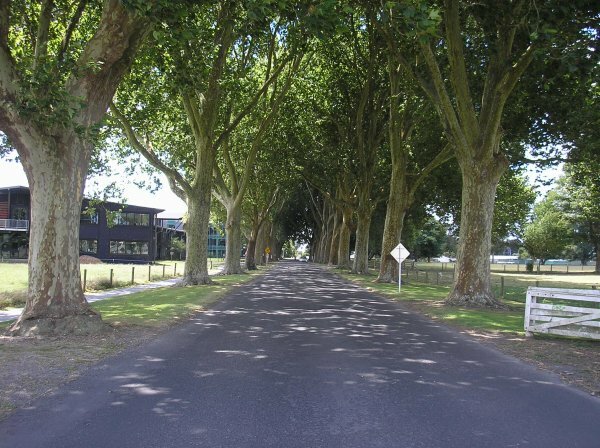 'Ruakura Agricultural Research Centre, Hamilton, DBH 36 in. x 83 ft in 1969, one of a 16-chain avenue with trees spaced one chain apart along rows and 36 ft across the avenue.' Ref; NZFRI Forest Mensuration Report 17, Page 28. S.W. 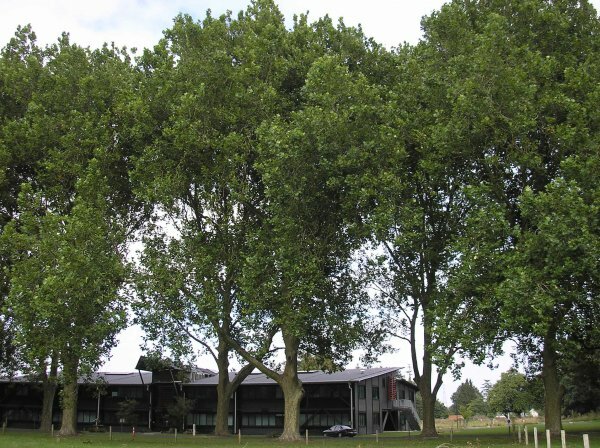 Burstall, Historic and Notable Trees of New Zealand: Waikato, Thames Valley - Coromandel and Bay of Plenty. April 1972 (unpublished). The following notes were written by Daniel Frazer from information supplied by Ms. Jean Green and her son Jeff Green, the daughter-in-law and grandson of A.W. Green. January 2011. Tallest tree in the avenue is 33m, shortest tree is 26m. Smallest tree in the avenue is 298cm. Tree in good condition, good vigor and suitable site. Tree form is very good for species, tree has slight lean NNE and avenue orientation is slightly NNW. 27 Jan 2011 Frazer, D.
08 Nov 2000 Moohan, S.
28 Jan 1969 Burstall, S.W. 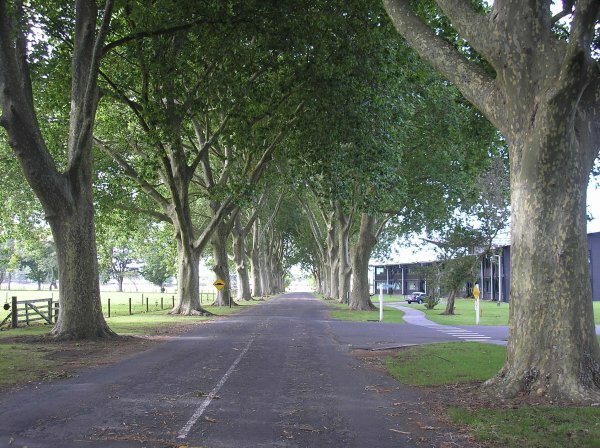 Avenue runs up Melody Lane 100m from Ruakura Road and stops just before the railway lines.